On November 6th a friend in North Carolina wrote on my Facebook wall: “Be on the lookout for a package Pete and I are sending to you and Bob, thought you might like it.” The UPS driver dropped off a big box just a few minutes ago. Before I show you what was inside the box, I want to share with you a photograph that I took 9 years ago, on December 5, 2003. This is Pete Ferry. He was painting in the window of the Warren Emporium during Warren’s annual Christmas Walk & Parade. It was the first time I had ever seen Pete paint. 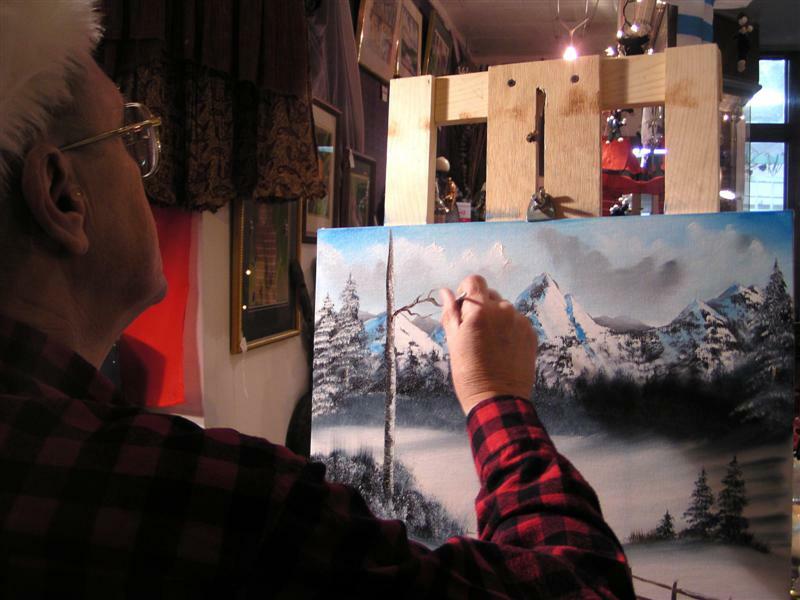 He does wonderful work, as you can see from some of the paintings in his portfolio. Now fast forward to this evening and the package that the UPS driver dropped off. Isn’t it BEAUTIFUL! What a WONDERFUL surprise! Oh, and I happen to LOVE covered bridges! Thank you Pete and Karen. It will have a place of honor, hanging on a wall in our living room where everyone can enjoy it! Oh My Gosh…. 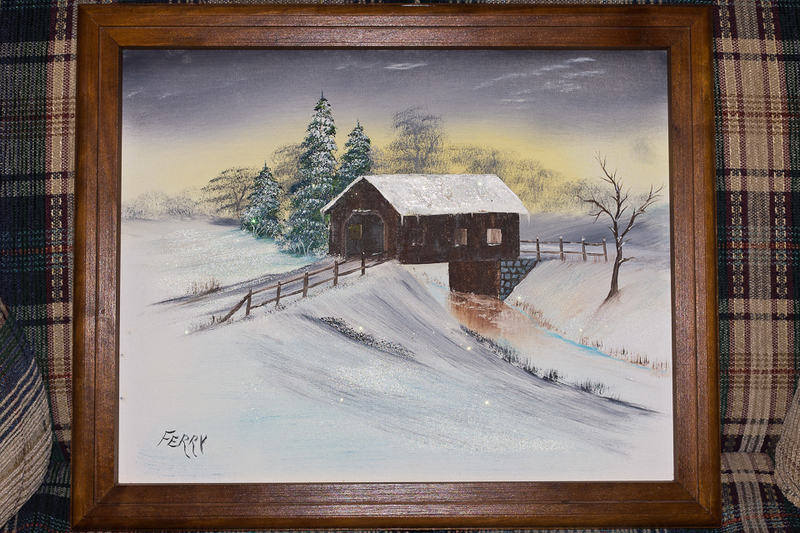 I want to get to know this man… His paintings are AWESOME…. You are SO lucky to have that one…. I’d love to have one of his waterfall paintings… WOW…. Linda, that is tremendous!!!! Congrats. The paintings are gorgeous. I can see why the one they sent you is going to have a place of honor in your house. Oh, my goodness…you are blessed. It is a beautiful painting!